We help enhance gospel ministries by training church members how to comfortably and confidently proclaim the gospel. How is that benefiting the gospel ministries at established WELS congregations? An outreach initiative helps “break the ice” of proclaiming the gospel by training members how to overcome fear and confidently give the reason for the hope they have in Christ. Once experienced in a well-organized initiative, they eagerly look forward to participating in future evangelism efforts. When members feel equipped, they will more likely share the gospel with people whom the Lord has placed in their lives. This includes friends, neighbors, and co-workers. When members conquer the fears of evangelism, they also conquer the “fear of follow-up”. They will be more willing to participate with the pastor in following up with prospects and visitors. We include follow-up visit training in conjunction with our outreach initiatives. 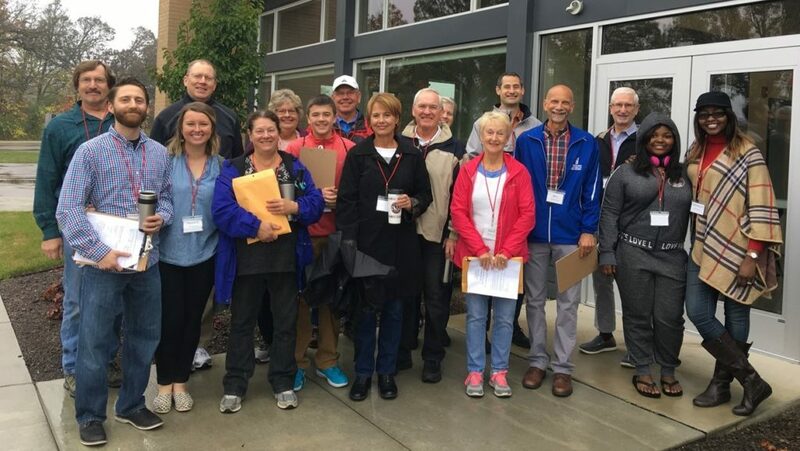 When members are eager and excited about proclaiming the gospel, it provides a contagious interest for them to participate in outreach activities. They become more concerned about bringing as many people as possible to heaven rather than increase church membership. They trust that the Lord of the promise will use and bless their activity. We refer to this as outreach momentum. Many Christians feel ill-equipped and intimidated to witness the gospel. Some are simply terrified. We take the mirror away in our training and instead, direct people to look at the cross and trust his promises. Many Christians tend to be reluctant witnesses because they don’t know what to say or how to begin. We provide a comfortable approach that allows Christians to lovingly engage people and share a short, powerful message. Our outreach initiatives are designed to be experiential by providing a well-organized opportunity to put your members’ training into action. We do that by going door-to-door to proclaim the gospel. Evangelism is far more about trusting God’s promises than about ourselves. One of the biggest promises God gives us is that God’s Word works. Our training emphasizes the power of God’s Word instead of our ability to proclaim it.